Valentine’s Day will be here soon, but there is no need to worry about your packaging. You can easily transition last season’s holiday packaging to the sweetest day of the year! Turn your everyday kraft paper into super sweet bags and packages from Nashville Wraps. It’s fast and affordable, yet classic and elegant. Valentine Tissue Paper from Nashville Wraps makes any bag charming! Made in the USA from recycled paper, select from 240 sheet reams or 120 sheet half-reams. Luscious Lips and our new Mustache & Black Beard Tissue tissues are especially adorable placed in Brown or White Kraft Bags. Solid color Red Tissue is always a perfect choice. Create a similar look using gift & apparel boxes or jewelry gift boxes. Add a cute bow with Red or Pink Raffia Ribbon. Share the Love with Ribbons & Bows! Cello bags look super sweet with pre-tied satin bows & organza pull bows with Valentine Gift Tags. Your customers will love that you make their gift-giving easy. White gloss gift wrap or brown kraft paper are year-round essentials, simply change up the ribbon. We especially love Double Faced Satin and Cabana Stripes Ribbon. 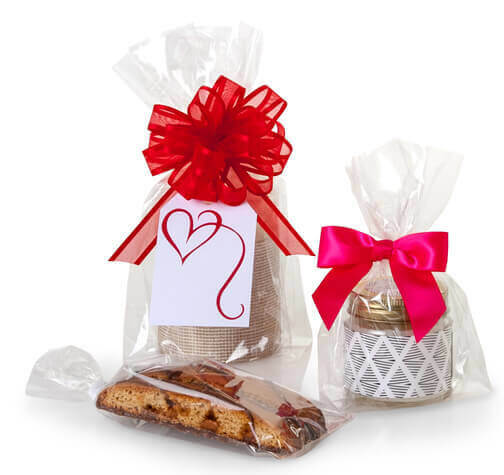 From candy, cookie and gourmet to floral supplies and wine packaging, Nashville Wraps has hundreds of great Valentine ideas. 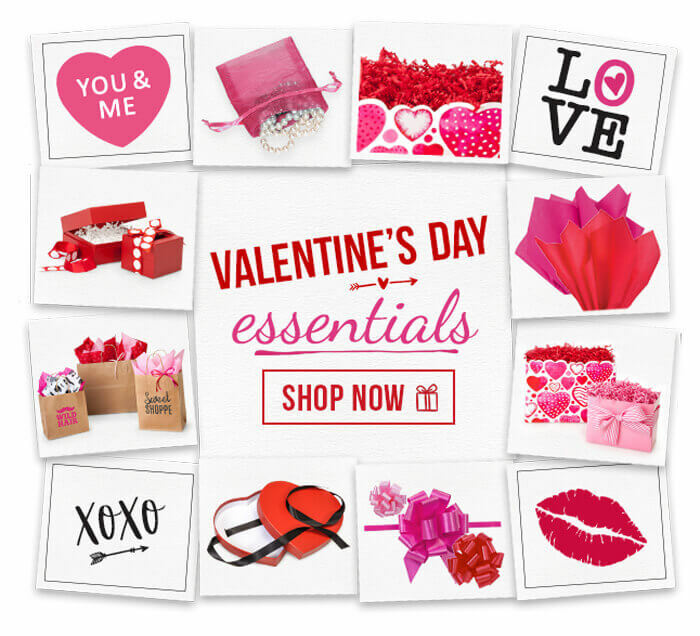 Our extensive Valentine gift basket supplies will help you showcase your products for a profitable February 14th! See these products and more in our new Valentine Digitial Catalog! We can mail you a free Spring/Summer 2018 catalog here. If you have questions, please call Nashville Wraps Customer Care at 1-800-547-9727, M-F, 8:30-5 CT.
Buffie Baril helps with digital marketing, online advertising, social media & content creation along with search engine optimization for Nashville Wraps. She loves learning, interior design, Apples to Apples and most of all her fabulous husband and three brilliant and very funny children. These are cute ideas, love your packaging supplies & I use them!